Do rockets, launch vehicles or spacecraft contain a black-box? Like aeroplanes, do rockets also contains some black-box kind of thing to see what went wrong at the time of failure? 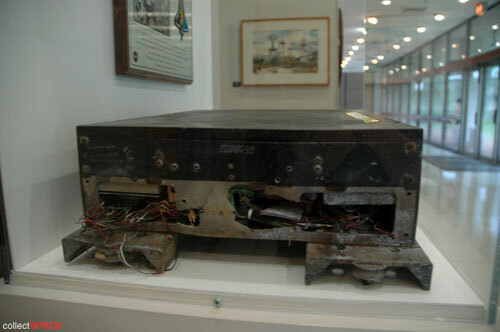 Key data for the Columbia accident investigation was provided by recovery of the MADS (Modular Auxiliary Data System) recorder which amazingly survived reentry and was found largely intact. The MADS recorder captured crucial engineering data that wasn't sent to the ground through telemetry. As the first spaceworthy orbiter, Columbia was instrumented with hundreds of sensors—strain gauges, temperature probes, and the like—to study the loads and stresses on the vehicle during ascent and reentry. These sensors fed into the OEX box, which recorded the data on magnetic tape. Columbia was the only orbiter with an OEX recorder. And quite coincidentally, the box was going to be removed after STS-107 in order to save weight as part of Columbia‘s refit to fly a supply mission to the International Space Station. Note OEX (Orbiter EXperiments) recorder is another name for the MADS recorder. This wasn't a traditional "black box" though; it wasn't intended to be survivable, and Columbia was the only orbiter that had the system. It was a left-over from testing when Columbia was the first shuttle and was being checked out in flight. The press at the time often referred to it as "Columbia's black box" but that was not really accurate. While there is onboard recording, the significant difference between launches of space craft and those of aircraft is the extensive realtime telemetry used in rocket launches. So yes - there is often the equivalent of black box, but that is not relied upon and is not the main storage of data. Another example: The Orion Ascent Abort-2 flight is going to be equipped with a series of Ejectable Data Recorders (EDR) to return telemetry on the flight in case the main telemetry downlink (a radio link) partially or completely fails. Not the answer you're looking for? Browse other questions tagged rockets failure or ask your own question. Was Columbia’s CVR ever found? Are there any significant differences in launch failure rates between different agencies/countries? What exactly causes stranded upper stages to explode? How should one analyze the video of the Antares CRS-3 explosion to find the clues to the cause? What is the purpose of the black-and-white patterns on some rockets? By how much may the maximum payload mass vary without causing a launch failure? What was the first large rocket to use APCP solid fuel? What is the advantage of doing a static test fire before launch? Why was OSIRIS-REx almost destroyed because of a loss of pressure following the SpaceX “fast fire”? Why do the Russians use these fence-like interstage fairings? How far have autophage rockets been developed?